The tax deadline is near, and you need quick answers to eleventh-hour tax questions before your return turns into a pumpkin (or is late, whichever). So who’s up for a cheat sheet? What do I do if I need more time to file my taxes? This is the worst realization for procrastinators: You thought you’d have plenty of time to finish the job, but now that you’re elbows deep in it, you realize it’s going to take more time than you have. Maybe you didn’t even procrastinate. Maybe you just got caught waiting (still) for tax forms or other documents. There’s a blog post for that. Tax extensions are an option, since those extensions give you an extra six months to file, but you still have to pay your taxes (if you owe any) by April 17. And if you can’t pay your taxes? We’ve got you covered there too, with everything you need to know about handling your tax obligation when you can’t pay all at once. I’ve got this—I just need to know how to get started. That’s the spirit! We have an overview of tax documents you need to have on hand when you sit down to file, and how to file in record time once you do. It’s also a good idea to pause and think about any major life events from the last year—those can affect your taxes, too, and it pays to be aware. Got anything for us freelancers? Yes, we do! In fact, our interview caters to freelancers and anyone reporting income from a Form 1099-MISC. You can deduct many of your freelance expenses, which means more tax breaks and more dollars in your pocket to put into your business. 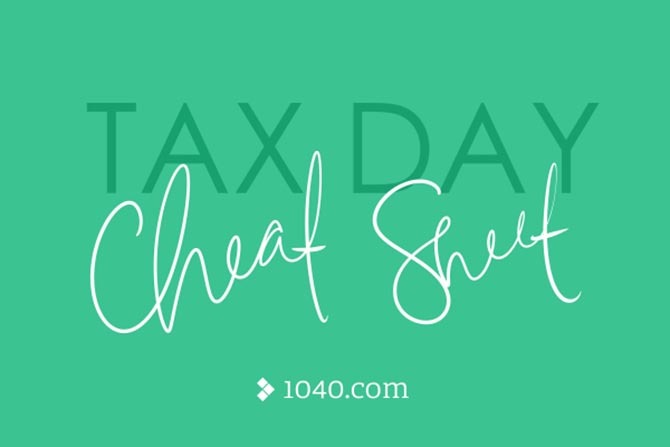 We’ve got everything you need to know, from the basics of self-employment taxes to freelance deductions and how to claim them. Also, we know that sometimes, those 1099-MISC forms aren’t sent to you in time, or you may be dreading the process of rounding up your tax-related financial records. If you get pushed up against the deadline, you can file a tax extension just like everyone else. Should I file my taxes with 1040.com? 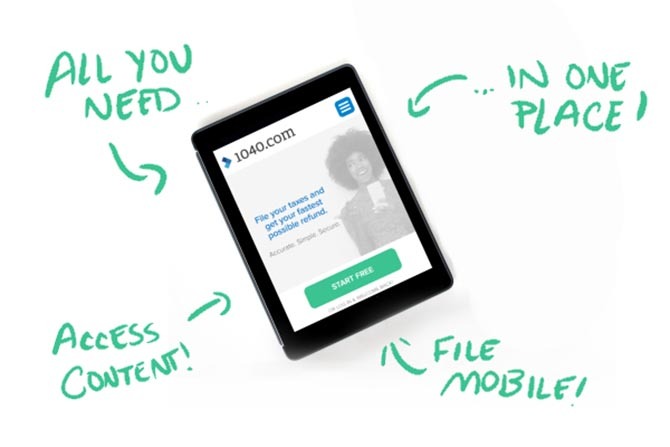 You want to do your homework first and make sure that 1040.com is a good fit, and that’s great! We’re confident that once you get to know us, you’ll love us. If you’d like to see what other users have to say about our smart and simple service, we’ve got answers. Best of all, when you file with 1040.com, we turn your obligation to file into an opportunity to serve with our partnership with Healing Waters International. If you’re curious to see just how taxes can help end the global water crisis, check out Sam Chappell’s story about life change in Lubin, Haiti, and our Giving Back story. Filing with 1040.com means providing two months of clean water for someone in need. You can help change the world just by filing your taxes with our smart, simple interview process.